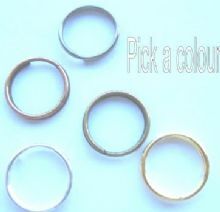 Split rings in various sizes and 5 finishes. 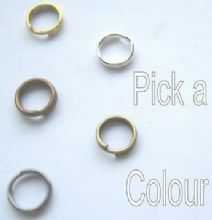 5mm split rings x 52. Pick a colour. 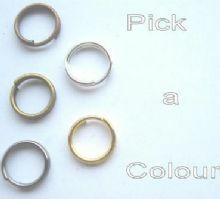 6mm Split rings x 40. Pick a colour. 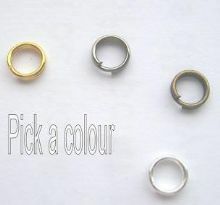 7mm Split Rings x 35. Pick a colour. 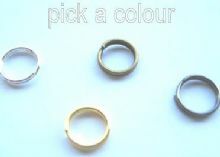 8mm split rings x 35.Choose a colour.